Who We Are: St. Joseph's Center for the Deaf and Hard of Hearing (SJCD) is a non-profit organization established in 1895 by the Sisters of St. Joseph of Carondelet. What We Do: SJCD currently provides for the spiritual and catechetical needs of individuals and families in the Catholic Deaf Community, with Sunday and Holy Day Masses regularly celebrated and/or interpreted in Amercan Sign Language (ASL). Who We Serve: SJCD provides services to Deaf, Hard of Hearing, Late-Deaf and Deaf-Blind people, as well as their hearing family members and friends, in the Greater San Francisco Bay Area, with a specific mandated service area of Alameda and Contra Costa Counties. However, SJCD welcomes people from any county and any location. Public Transportation: AC Transit Bus 210 travels between Ohlone College and Union Landing Transit Center.with the greater portion of its route being along Fremont Blvd. When traveling northwest (toward Union Landing) on Bus 210, use the Fremont Blvd - Mission View Dr stop. Walk southeast on Fremont Blvd and left on St. Leonard's Way to the church. 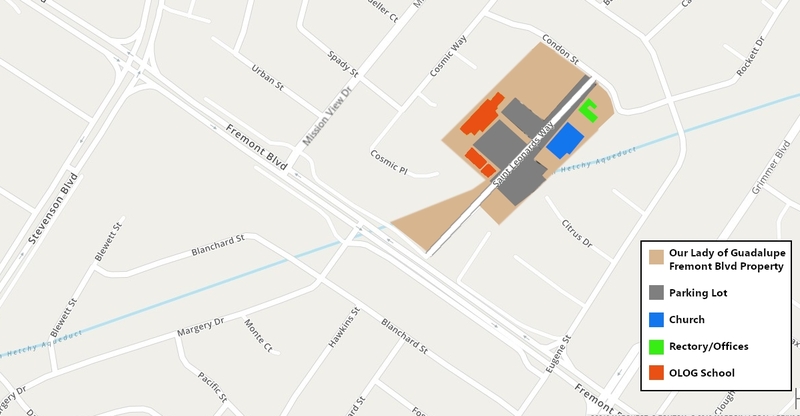 When traveling southeast (toward Ohlone College) on Bus 210 use the Fremont Blvd - Stevenson Blvd stop and the walking directions shown for that stop given for Bus 212. From the Fremont BART Station take AC Transit Bus 212 toward Newpark Mall-Pacific Commons and get off at the stop on Fremont Blvd near Stevenson Blvd (9 minute ride). Cross Fremont Blvd at the intersection and walk southeast (right) on Fremont Blvd. Turn left onto St. Leonard's Way and continue straight to the church (8 min, 0.4 mi). Who to Contact for More Information: Fr. Ghislain Bazikila at [email protected] or send text to 415-889-0915. The St. Joseph Center for the Deaf Calendar can be found by clicking here.